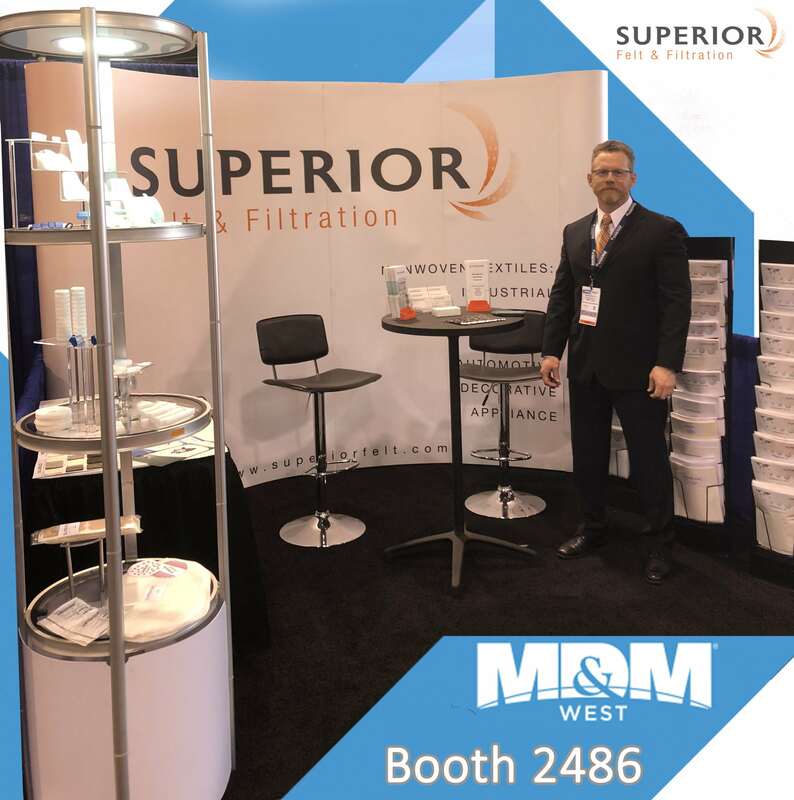 Superior Felt and Filtration is officially on the MD&M West 2018 Exhibitor list! We are one of the industry’s top filter media manufacturers who specializes in serving the needs of the medical non woven market. Visit us at Booth #2486 to discover how we’re leading the way in non woven medical textiles. Superior Felt & Filtration featured MD&M Show Video. The medical non woven market is rapidly growing and Superior Felt & Filtration is poised to handle this growth by providing multiple non woven and filtration media solutions for the medical industry. We provide medical non woven medical textiles for applications, such as: respiratory care, personal protection, CPAP, cosmetic/hygienic, wound care and orthopedic. From operating room protection materials to CPAP machine filtration media, Superior is ready to fulfill any of your medical requirements and needs. Superior Felt & Filtration offers a premier product, Technostat®, which is extremely efficient at filtering sub-micron particles. Technostat® is a needle punch nonwoven textile that is electrostatically charged. The neutral charge gained during manufacturing, attracts both negative and positive particulates from the air stream, which results in high capture rates of sub-micron contaminants.